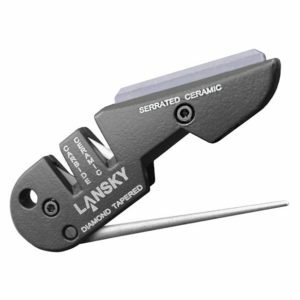 The Knife Sharpener features two sets of sharpening rods with pre-set angles that restore dull blades with just a few strokes of the knife. 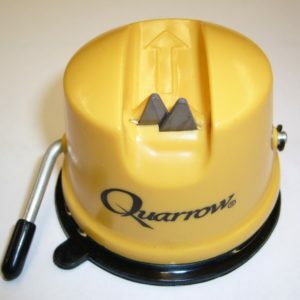 The Quarrow® 2 Stage Knife Sharpener is an easy and convenient way to sharpen your knives. Whether professional quality or inexpensive, all knives need a blade tune-up now and then. 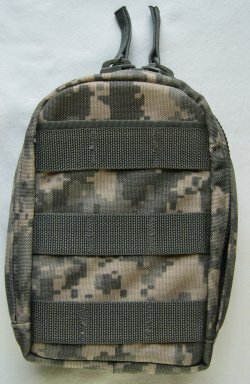 The coarse sharpening side (320 grain) is used to restore dull blades. The fine side (800 grain) is used to perfect already sharp blades. 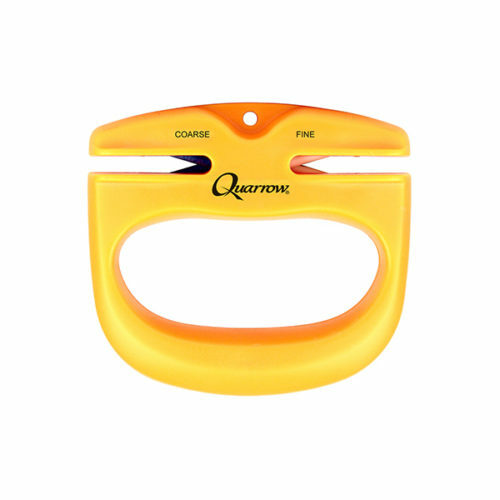 This sharpener features an ergonomic three-finger handle that ensures a good grip while sharpening, and keeps fingers away to avoid injury.